And I quote, “ Dudes that think they’re going to roll through ‘summer water’ and wreck ‘em are complaining about tough fishing. Dudes that are spending the time to decipher the slow s*** and moving in between those spots are having great fishing”. Pretty common this time of year. 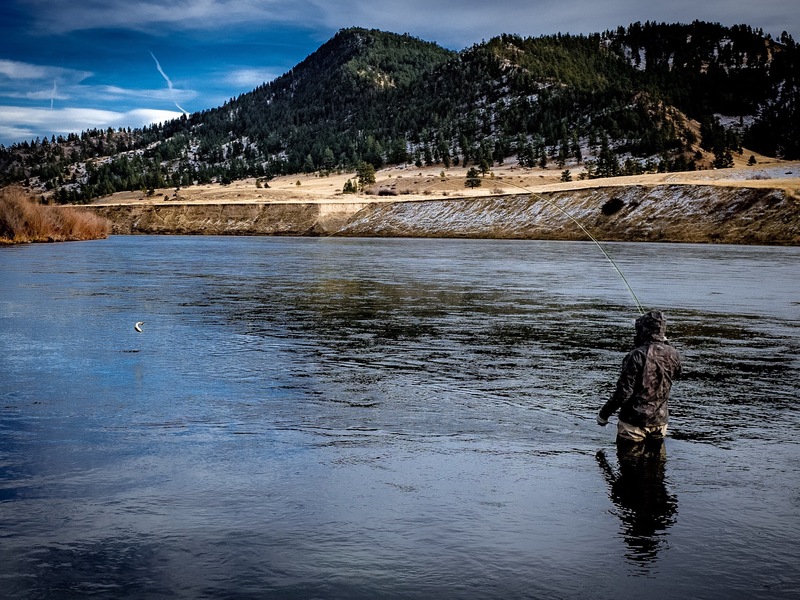 Many anglers are spending too much time fishing the whole river, while 90% of the fish are in 10% of the water. Find those slow insides and greasy, slow 4 foot deep tail outs and spend your time there. The two-handed swing report was the same. Fish deep tips in that slow inside seam and you will run into them. Swing fast 3 foot deep stuff and you’ll find slow fishing. Although you may find a large Brown Trout in that stuff. ALSO: Prewett Creek ramp is now useable. Guides Eric Mondragon and Shane Wilson Both took out at Prewett this weekend. Nymphing report was good, so give it a try. And if you’re not into watching the bobber, there is some great springtime swing water on this float.